In February’s edition of Favorite Finds, I mentioned that I was hoping to have the opportunity to see the movie Patterns of Evidence: The Moses Controversy, which was in theaters in mid-March. Well, life intervened and I wasn’t able to get to the theater when it was playing, so I guess I’ll have to wait for it to come out on Netflix or something. Did you see the movie? What did you think of it? I’d love to hear a little feedback…or maybe you’d like to write a review of the movie as a guest post? “I’m not sad that I’m not and couldn’t be a church planter or lead pastor. I don’t feel restricted or resentful. Instead, I feel full.” I always appreciate the voices of sisters in Christ who are leading unashamedly under the banner of strong, biblical complementarianism. Complementarianism is a blessing, not a burden, so I really enjoyed Whitney Woollard’s* article Delighting in Authority: How to Create a Culture of Happy Complementarians over at Eternal Perspectives Ministry. “…since loving Christ entails loving the Church; it’s time for you now to heed the summons of God’s Word and go back into a local church, a local expression of the Body of Christ.” I really appreciate Jennifer Brogdon’s* gentle and compassionate approach to encouraging wounded saints to go back to church (especially compared to my usual “bull in a china shop” treatment of the same topic) in her article Go Back to the Local Church. Who’s in the mood for a free book? Here’s a PDF copy of Al Mohler’s Life in Four Stages: A Biblical Celebration of Childhood, Youth, Adulthood and Age. 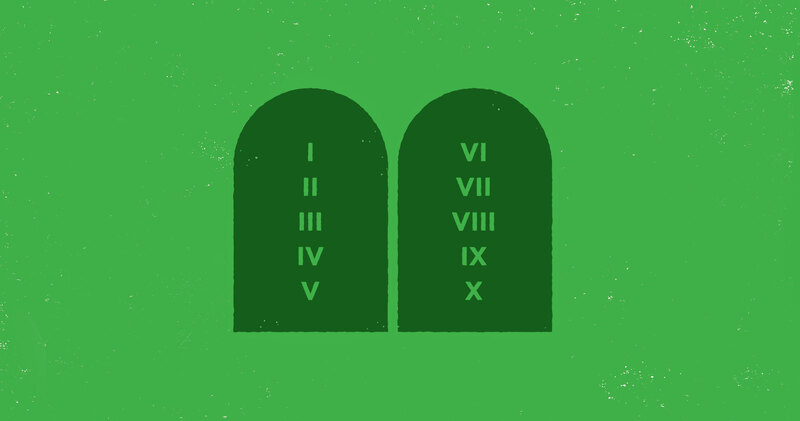 Want to study the Ten Commandments? Here’s a free devotional excerpted from Kevin DeYoung’s book, The Ten Commandments: What They Mean, Why They Matter, and Why We Should Obey Them. *I’m not very familiar with these writers or all the content at these blogs. I do not endorse anything you might find at these sites that conflicts with my theology as outlined at the Welcome and Statement of Faith tabs at the top of this page. I’ve recommended my friend Kesha’s ministry, Bible Thinking Woman,to you in the past. Now Kesha has put together another resource I think will be very helpful to you. It’s a Facebook support group for sexually abused women. Kesha says, “As a victim of sexual abuse, I know all too well the damage and destruction the trauma of abuse has. Yet, I also know the healing, freedom, and victory that we have in Jesus Christ. If you’re a Christian woman who wants help, prayer, guidance, encouragement, and a listening ear, please consider joining our private Facebook group, Support for Sexually Abused Christian Women. Even if you’ve never been abused, personally, I would encourage you to reach out to Kesha if you’re helping a friend or loved one through the journey of healing. Need recommendations for a good concordance? A systematic theology? A set of commentaries? The Master’s University has you covered. Check out this extensive listing of biblical reference works. You probably won’t need all of these books, and the ones you do need you might be able to obtain less expensively by purchasing them via e-book, or checking your local public, church, or seminary library (your pastor might even be willing to lend out his copy of the volume you’re looking for). Let’s go to the movies! I’ve heard about two movies recently that I’m really interested in seeing. Patterns of Evidence: The Moses Controversy will be in select theaters March 14, 16, and 19. It’s a documentary on Moses as author of the Pentateuch. I saw the first movie in the Patterns of Evidence series – Exodus (you can rent it on Amazon Prime) – and it was phenomenal. I’m hoping Moses will be as well. Roe v. Wade is a secular movie (so it’s probably going to have profanity and other sinful content in it – don’t go see it if those things violate your conscience) on the history of the original 1973 Supreme Court decision. If you can wade (pun intended – I like puns. I always intend them.) through the left-leaning worldview of this WaPo article, you’ll find that Roe v. Wade boasts a cast made up of “a veritable who’s who of conservative Hollywood” and other info. about the film. Just a reminder – as of today, I haven’t seen either of these films, so I can’t vouch for their contents. I’m just saying I’m interested in seeing them and I thought you might be, too. Need some help memorizing Scripture? David Mathis offers us 5 Tips for Bible Memorization that are sure to come in handy. Christmas might be the easiest time of the year to get a foot in the door to share the gospel with unsaved friends, loved ones and strangers. That’s why I love this article by Allen Nelson over at Things Above Us called A Christmas Gift for You. You can share it around on your social media pages to help others understand what Christ did to save us. And if you’d like to use it as a devotion at a Christmas party, tuck it into your Christmas cards, use it as a bulletin insert at church, or something like that, you can contact Allen for permission to reprint it. Wonder why some Christmas songs are so ear-catchingly popular? Music nerds can tell you, and here’s one to do just that. Vox gives us Adam Ragusea explaining The Secret Chord that Makes Christmas Music Sound So Christmasy. And speaking of Christmas music…need some to listen to? Amazon has several Christmas songs and albums you can download for free! (Listen discerningly.) And if you’re shopping at Amazon, be sure to check out Amazon Smile and donate part of your purchase to the Christian ministry, organization, or church of your choice! When Christians think “Christmas” we usually think Luke 2, and maybe Matthew 1-2. But…John? My friend and fellow LSU alum, Nicholas Maricle, shares this lovely article on the Incarnation: John 1, the Word, and Jesus over at his blog Thinking Theologically. Do yourself a favor and give him a follow! Josh Buice has another awesome quiz for us at his blog, Delivered by Grace. Test your knowledge with: Christmas Quiz: How much do you know? And last of all, an early Christmas present for me (thanks to reader and contributor, Laura!). Phil Johnson and Todd Friel discussed part of my article Women and False Teachers: Why Men Don’t Get It, and Why It’s Imperative That They Do on the December 10 episode of the Too Wretched for Radio podcast (around the 15:42 mark). I’ve mentioned that Todd was the first to introduce me to the idea of biblical discernment when I “accidentally stumbled across” the Wretched TV show one night while flipping through the channels. And I listen to Phil often, love his preaching, and have a great deal of respect for him on a number of different levels. So while this brief mention on a podcast that the majority of the world has never heard of wouldn’t mean much to most people, it was a real honor for me. In my article Churchmanship 101: Training Your Child to Behave in Church, I suggest several ways you can teach small (and older) children to “take notes” in church. Recently, I came across these awesome sermon notes pages that incorporate some of those ideas. They are free to download and print out. Maybe your church would even like to make them available on Sundays! Sermon Notes for Younger Kids and Sermon Notes for Older Kids. Before I became a stay at home mom, I was a professional in the field of Deaf Education. It really taught me to be more aware of barriers we can place in the way of someone with a disability. I thought these articles, 3 Barriers Keeping the Disabled from Church, and 10 Things You Should Know about Discipling People with Special Needs, were helpful reminders to be aware of the needs of our brothers and sisters in our church families and the ways we can be a help to them rather than a hindrance. “’If the claimed revelation/vision is not taken as authoritative or infallible, but just meant for encouragement, then what harm is there in that?’ While it is true that most cautious continuationists (e.g. Wayne Grudem) would agree that the claims of prophecy today are not authoritative or infallible in the way biblical revelation is, there is still harm in having this type of practice in churches.” Check out Clint Archer’s excellent article over at The Cripplegate entitled Are claims of supernatural experience really that harmful? Here’s something helpful that came out of the TGC Women’s Conference earlier this summer, the 9Marks at 9 breakout session Women and the Local Church. Karen, Keri, Bev, and Abigail discuss what makes a church, the importance of the local church, what makes a healthy church, practical things you can do to help your church become healthy, prioritizing the local church, and the impact your commitment to the church makes on your children. Wretched has, not one, but two freebies for you! Download the gospel booklet Don’t Stub Your Toe or The Biggest Question video (also available in Spanish) and share them on social media or via e-mail with friends who need to hear the gospel. You might even enjoy reading and watching them yourself! Pastor Allen Nelson has written a helpful seven-part review and response to Rachel Held Evans’ new book, Inspired: Slaying Giants, Walking on Water, and Loving the Bible Again. It’s over at the Things Above Us blog, and it’s entitled God-Breathed: A Response to Rachel Held Evans’s View of Scripture. If you’re unfamiliar with Rachel, you can read more about her here, where I have also linked Allen’s article series. At night or in the morning? Commentaries or journaling? “In January 2018, Crossway surveyed over 6,000 readers, asking questions about their Bible reading habits.” They’ve given us some of the results of that survey in a nifty little infographic, How Do You Read the Bible? if they continue in faith and love and holiness, with self-control. Have you ever wondered what that verse means? WordBoard explains with the Boardies video What Does She Will Be Saved Through Childbearing Mean? Want to memorize Scripture, but you need a little help or don’t know where to start? Check out the Scripture Typer Bible Memory System. Use verses you’ve already decided you want to memorize, or get some suggestions from Scripture Typer. Type in and practice your verses until you have them memorized, and Scripture Typer will keep everything nice, neat, and organized for you. Scripture Typer is available online, or in an app for Android, Kindle, iPad, or iPhone. I thought Theology Gals‘ podcast episode 68, Evangelism, was just the bees knees. As a stay at home mom myself, I really appreciated Coleen and Angela’s discussion of what evangelism can look like for a mom who’s at home with her kids and isn’t out and around lost people very much. This episode was so helpful I added it as a resource to two of my own articles on evangelism. There are tons of useful links on the episode web page, too. “Among English Baptists of the eighteenth-century, Anne Dutton was known as ‘the most theologically capable and influential Baptist woman of her day’.” I had never heard of Anne before, but I found this little piece about her, Lessons from the Life and Ministry of Anne Dutton by Joshua Mills over at Servants of Grace to be charming and encouraging. Take a moment to read about one of our foremothers in the faith. Being a “1689er” myself, I just loved this modern English version of the Second London Baptist Confession of Faith, put together by Dr. Stan Reeves of Founders Ministries. Dr. Reeves has stayed true to the original LBC as much as possible, only clarifying and updating archaic verbiage when necessary. (You can compare with the original 1689 version here.) Give The 1689 Baptist Confession of Faith in Modern English a read. You might even want to study the Scriptures it references during your Bible study time. I honestly teared up a couple of times listening to the Get Up and Eat! with Rachel Jankovic episode of Sheologians. 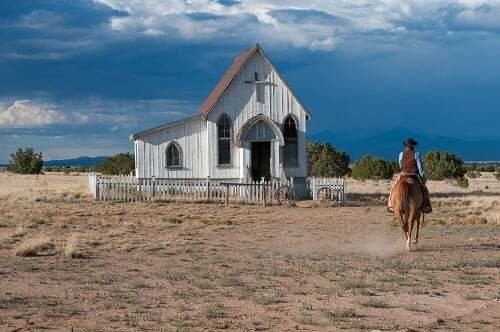 Sometimes I feel like the lone voice in the wilderness crying out for women to ditch the canned Bible studies and simply pick up the Bible and study it for themselves. It was nice to hear somebody else saying it. I love the designs Scripture Type creates for Bible verses and Christian quotes. They have lots of lovely items you can purchase, and they also have a Freely Given page where they post designs that are free to download for use as wallpapers, lock screens, and printable coloring pages. It’s a great way to help you memorize verses! Be sure to subscribe to or follow The Cripplegate for any future installments Clint might write. Are you a Southern Baptist (or a curious onlooker) who couldn’t make it to the annual meeting in Dallas this year? Keep up with what’s going on via live stream or at your convenience on demand. And please don’t forget to fervently pray for the SBC. We are facing some serious issues in these days. The Southern Baptist Convention annual meeting is being held today and tomorrow (June 12-13). One of those serious issues we’re currently dealing with in the SBC is that a vocal few are pushing the idea of electing a female president (Beth Moore’s name has been floated). Pastor Tom Buck has written a phenomenal series of articles dealing with this issue from Scripture. Even if you’re not Southern Baptist, you will find Pastor Buck’s careful exposition of 1 Timothy 2:11-15 extremely helpful in his articles Will the Next SBC Resurgence Include a Redefining of Complementarianism? I’ve recommended Verity Fellowship in the past as a doctrinally sound resource for Christian women. In this article, VF’s Katherine Roberts recommends a great resource for women who want to learn how to study and teach the Bible better without going to seminary: The Simeon Trust. Crossway recently published a fascinating article, 10 Crucial Archaeological Discoveries Related to the Bible as part of the promotion for their new ESV Archaeology Study Bible. Justin Peters and Costi Hinn have recorded several helpful YouTube videos in a series called Truth & Transformation refuting the false teaching coming out of the Word of Faith and New Apostolic Reformation movements. I’ve been told more videos are on the way, and there’s talk of a podcast! Looking for a fun family trip this summer? Check out the Answers in Genesis Equipping Families to Stand Conference. It will be held at the Creation Museum in Petersburg, Kentucky, July 16-20. Your registration fee for the conference includes a seven day pass to both the Creation Museum and the nearby Ark Encounter. I really appreciated Clint Archer’s article Bleep! Why Christians Shouldn’t Cuss over at The Cripplegate. I have no idea why anyone who’s a Christian would think profanity is acceptable to God, but, for folks who do, Clint will quickly, deftly, and biblically disabuse them of that mindset.